RCA has added a new feature to its website–a short feature on a current member, what they are doing, and what their wireless interests are. The member that is featured will be changed regularly. This month RCA honors Chief Harlin McEwen. Harlin R. McEwen, Chief of Police (Ret) Chief McEwen brings more than 60 years of experience both as an advocate for public safety telecommunications issues and as a career law enforcement officer and administrator. He served as a Chief of Police for more than 20 years, last serving as Chief in the City of Ithaca, NY. He also served as Deputy Commissioner of the New York State Division of Criminal Justice Services and Director of the Bureau for Municipal Police. Chief McEwen then served as a Deputy Assistant Director of the Federal Bureau of Investigation in Washington, DC. He provided oversight for new FBI Criminal Justice Information Services such as the National Crime Information Center (NCIC) 2000 Project, the Integrated Automated Fingerprint Identification System (IAFIS), and the Law Enforcement Online (LEO) system. He also traveled extensively both in the U.S. and internationally speaking at police conferences. He served as Chair of the Communications & Technology Committee of the International Association of Chiefs of Police (IACP) for more than 36 years until 2015. For many years he represented the IACP on numerous committees including the DHS SAFECOM Executive Committee, the Governing Board of the National Public Safety Telecommunications Council (NPSTC). Chief McEwen also served as the Communications Advisor to the Major Cities Chiefs Association, the National Sheriffs’ Association, and the Major County Sheriffs’ Association. He is a Life Member and Fellow in the Radio Club of America and previously served on the RCA Board of Directors. He is a Life Member and Honorary President of the IACP, Life Member of the National Sheriffs’ Association (NSA) and Life Member of the Association of Public-Safety Communications Officials-International (APCO). He served as the first Chair of the Public Safety Advisory Committee of the First Responder Network Authority (FirstNet) from 2012 until 2017 when he retired. 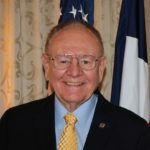 He has written many articles and is the recipient of many awards including the FBI Medal of Meritorious Achievement, the NPSTC Richard DeMello Award, and many others. RCA: How long have you been in the wireless industry? Chief McEwen: I have had a deep interest in wireless 2-way radio communications for more than 67 years. My first involvement came as I obtained a police/fire monitor to follow local police and fire radio transmissions in about 1951. That eventually led me to become a police/fire dispatcher and then a police officer which was the beginning of my long law enforcement career. I have been engaged in the development of 2-way radio communications, with a focus on public safety communications, from the narrowband analog days to conversion to digital to now LTE broadband communications.